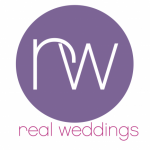 Sway Social were named the “Official Top Wedding Entertainment for 2017” by WeddingsOnline right here. 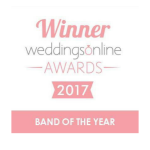 Sway Social were winners of the WeddingsOnline Band of the Year 2017 award! 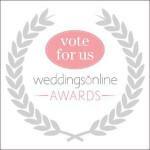 Sway Social were finalists for the WeddingsOnline “Band of The Year” Award in 2016. 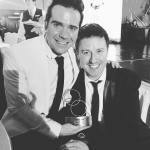 See our Sway Social boys Gavin and Ed picking up the coveted “Wedding Band of the Year” award at the 2017 WeddingsOnline Awards show. 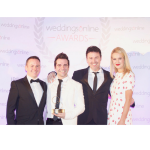 Our fab bosslady Niamh & The Best Men lead singer Jonathan picking up the Weddings Online Wedding Band of the Year Award 2014. 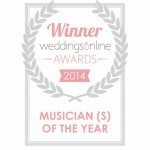 The Kooky Ukes were proud recipients of the Musicians of the Year award 2014. 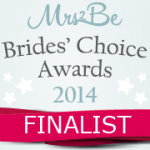 BlackTye was a finalist in the Mrs2Be Brides’ Choice awards 2014. 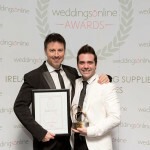 Sway Social pictured with WeddingsOnline at the show, receiving the award for “Band of the Year” 2017. 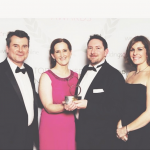 Grins all round! 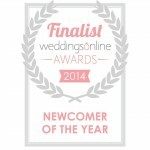 The Good Guys were finalists for Band of the Year in the Weddings Online awards 2014. 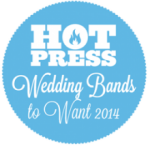 Both BlackTye and The good Guys were named Hot Press Magazine’s Wedding Bands to Want 2014. 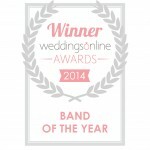 The Good Guys took home the Band of the Year award in 2013. 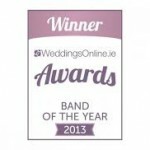 The Best Men were winners of the Real Weddings Band of the Year award in 2012.